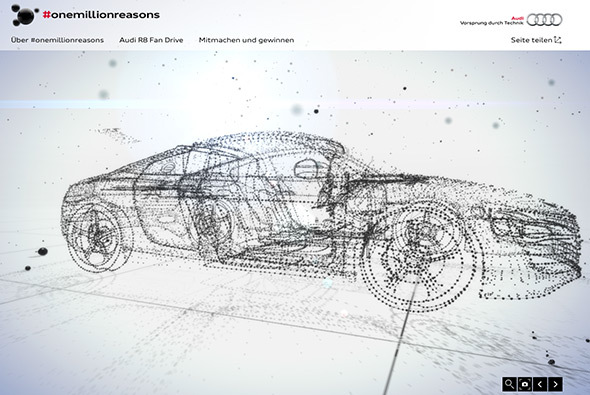 Incredible campaign microsite for Audi and #onemillionreasons. Essentially a model of their R8 car made up of spheres, which people can ‘own’ through social media, clicking on one of the spheres shows the statement, which then also when the “3d ansicht” button is clicked – totally destroys the car and rebuilds it in front of your eyes – and turns it into the photo or statement – absolutely incredible! 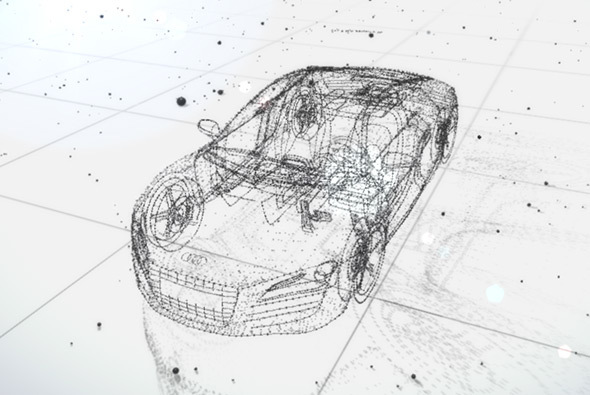 All built in Web GL, it allows you to rotate your view, zoom in, and interact with the various spheres. Love the attention to detail too, with the spheres moving around based on position of your cursor, and watching the light source cast shadows dynamically. It really is incredibly well made. Created by Minivegas (@minivegas) and Razorfish Germany (@razorfish_de).